Not only is Carlos a managing partner in Caamaño, Concheiro & Seoane, but he is also responsible for the Public Law department in the firm. 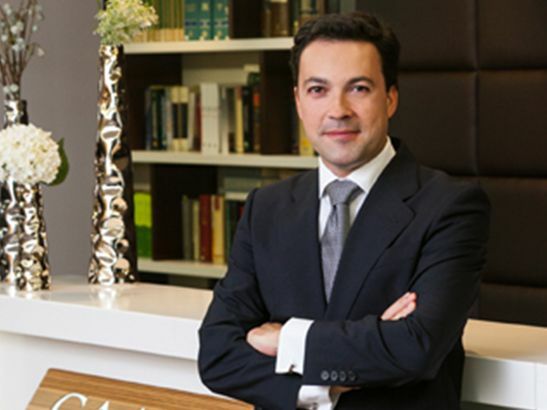 Specialising in Administrative, Pharmaceutical Law and White Collar Crime, he is also Legal Advisor for the Galician Federation of Pharmacists. A Law graduate from the University of A Coruña, he prepared for the State Lawyer exams, and also holds a degree in Philosophy and Letters form the UNED (Spanish Distance University). He has participated as speaker in a number of seminars on tax and corporate crime, money laundering, as well as speaking at congresses in Spain on administrative-pharmaceutical law. He is also a teacher on the Masters in Business Law Practice from the University of A Coruña.